I started off this summer with my on-line series on Facebook. I had so much fun interacting with everyone and helping them with their beauty issues, and challenges. It was great that it was all done “virtually”, but since then, I have had a lot of requests to do makeup lessons. 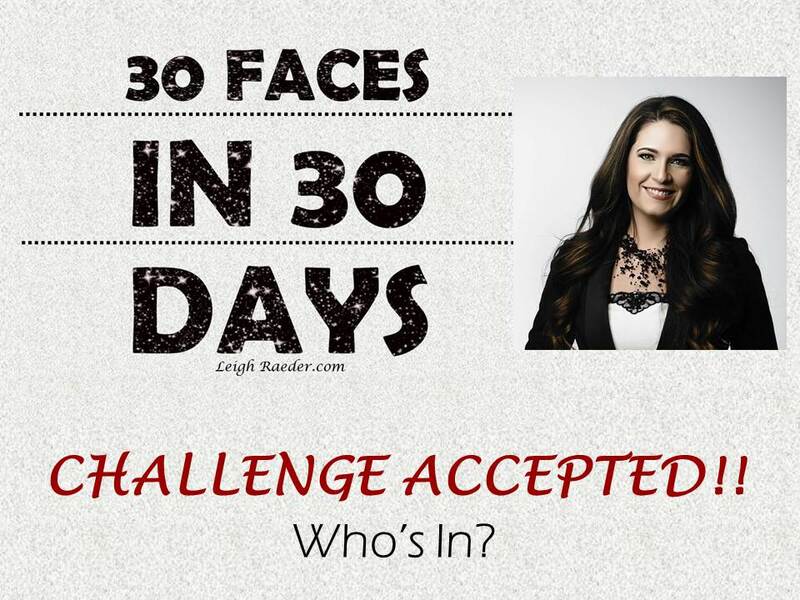 Then a friend challenged me to do 30 Faces in 30 Days! I’m always up for a challenge, and honestly meeting with clients is my passion. Now that I am semi-retired, I’m not always seeing clients every day, and I MISS IT, so challenge accepted!! So here we go! I need 30 faces to meet with, show makeup, or skincare in the month of November. This is your chance to pick my brain on makeup, try out products with no pressure, and learn a little more about what I am doing. I am doing these one on one meetups at my home studio in Plymouth, WI. All you have to do is fill out this form to let me know if you are available to be one of my 30 faces. I am also looking to work with multiple faces in one day if possible, so if you have a place of business and would like to offer free mini makeovers for your clients then let me know! I can set up 30 minute appointments for that situation if you are in the Southern Wisconsin area, let’s talk! Email me at Leigh.Raeder@gmail.com or fill out your info below, and I will contact you to schedule a time.